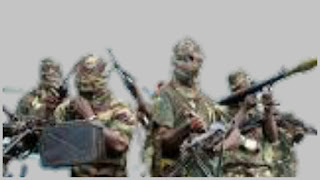 Today "Boko Haram" set free of the 21 Chibok Girls that has been with them, the Boko Haram terrorist group have reportedly set a released. The Chibok Girls were released in the early hour Thursday 13 October said by "Sahara Reporters"
As at 2014 two years ago more than 200 girls were abducted from the school of "Borno State" by the Boko Haram's while some were reportedly, died and some were held by the Boko Haram group. Reports disclosed that the Chibok Girls were picked by the "Military" helicopter from Banki area at Borno State were the terrorist Boko Haram dropped the girls earlier on Thursday 13 October. Reporter. Also said that The release of the 21 Chibok Girls came as President "Buhari" set on a three-day trip to Germany to discuss assistance for the rebuilding of the northeastern part of Nigeria in the country which has for years been ravaged by "Boko Haram". However the names of the Chibok Girls released were not disclosed.